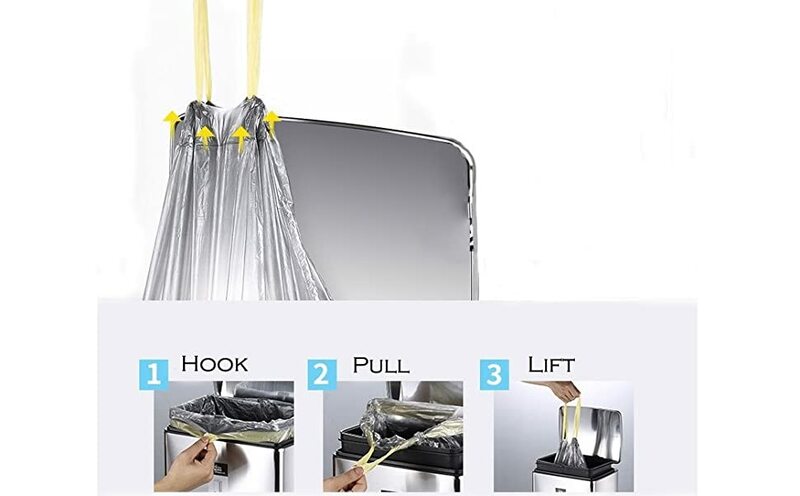 The drawstring ensures a tight, secure grip on trash cans and makes it easy to carry while without worrying about getting hands dirty. Handle all kitchen and household demands with BeGrit kitchen trash bags. 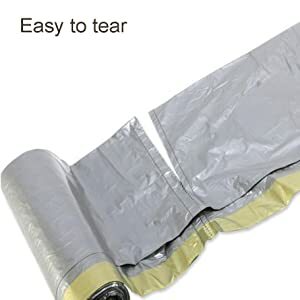 Fits most trash cans while guarding against leaks, rips and tears. 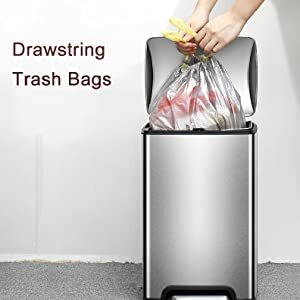 Our drawstring handles on our trash can custom fit liners are easy to lift, tie the bag off and carry it to the trash can without breaking or tearing.